Can you put avengers tower in the city? I'm one of those people whit mixed feelings about this. It looks good. Don't get me wrong. But I enjoyed how different your city was from all the other folks online with LEGO cities. Yours was fully custom. Oh well, like I said, it looks good. I'll get used to it. Can't wait for an indepth tour like the old days! Keep up the great work! That is exactly how i feel about this! His city wasn't just a mix of the modular buildings and the creator houses it was ALL custom but i will still be watching and likeing it. this makes me really sad i watched you because you were the one for the most part that did not do this. now you are doing this and it depress's me. i know you dont really care but heres my opinion. the cars and trucks i dont mind but the swamp police and the creator houses just threw me over the edge. so where will the minecraft corner go? No! Did you read it! I Personally have mixed feelings because some parts of the non custom stuff such as the demolition and modular buildings look great in your city, but the part I personally dislike of your decision is you put in the swamp police which doesn't really fit in (what I feel). 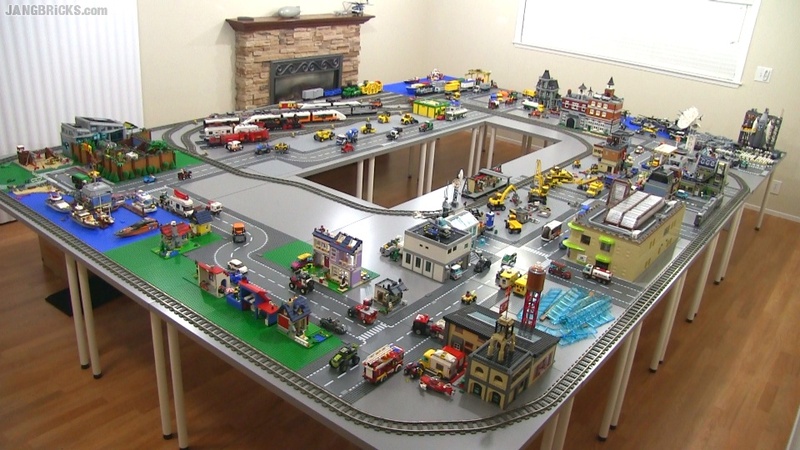 I hope you will make your own custom train station and and not phase in the modern lego city fire department stuff because the color scheme doesn't fit well (with your own). I wish you luck on your move and I hope you you continue making custom stuff because it is what I enjoy seeing from you. I have many custom things in my own layout and lots of what I have built is inspired by you. Thank you for just choosing to do what you are doing and I hope this message means something to you because I know viewers opinions usually don't matter to you in your custom ( now semi custom) city. That's a good idea because you kind of have it like the non custom city that would be taken apart in time. Everyone read above what jang wrote! Is it just me, or is this layout smaller than your old one? I'd like to see some more tables go in, and perhaps more of the harbor? It's a good deal larger as shown & detailed in the previous videos, with already a very significantly larger harbor area. Jang in that gap in the middle it'll be a great idea if you put that bridge that many people had been wanting... It just gives the city more life. I guess if you did you would put the Tower Bridge. Since I began following you I secretly have been hoping for this step. Especially the modular building series goes so well with your city! I always thought it was a shame that you didn't include these sets just because they are offical. Even though they look great I think it doesn't match his building style. What did you use as support for your city? Are they folding tables? ?